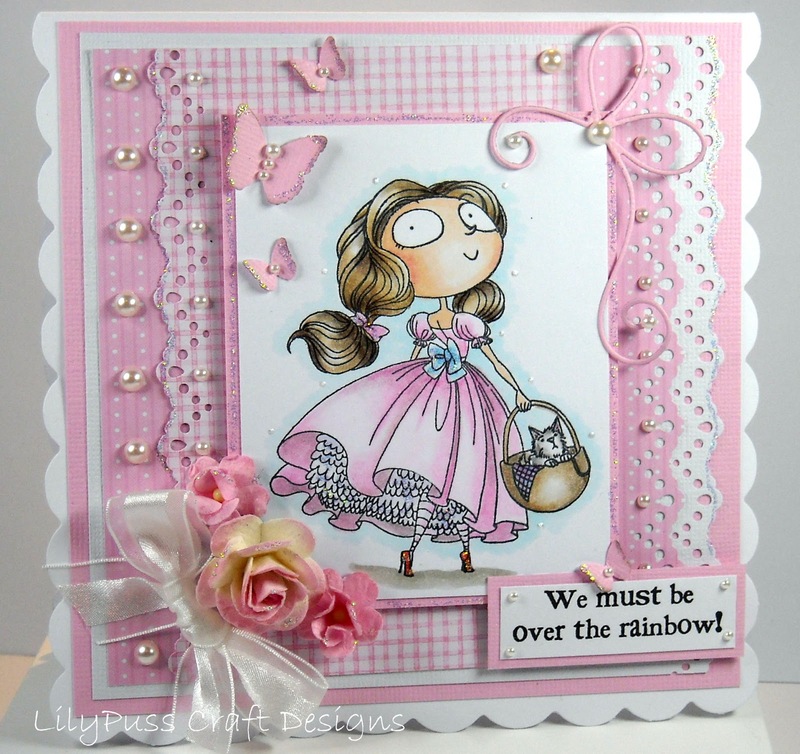 LilyPuss Crafts: Kraftin Kimmie - Part Two.. This is Dorothy...she coloured with Copics and pencils,,,the papers are a mixture and as I had so many pads on my desk deciding which ones to use I don't know what pads they came from...lol...I used MS border punch for that lovely lacy edge and another for the butterflies. The die cut bow is a Memory Box die that's been trimmed and I finished with WOC flowers, an organza ribbon and my usual sparkle and pearls. WOW - gorgeous, absolutely gorgeous! This is another gorgeous card Jan. A beautifully coloured image and love the papers and embellishments. Such a beautiful card Jan, gorgeous colouring, love the image and papers and all the details pearls and flowers,so pretty..love the bow die..
Beautiful card. Great details and I love this image.